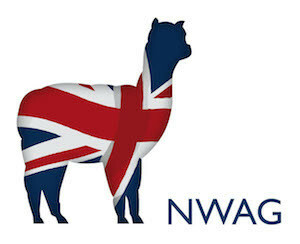 Welcome to North West Alpaca Group – NWAG. This is the regional group that covers the North West of England, however we welcome members from all areas. You will see in the directory we have members from the North East and Scotland. We are a friendly, helpful group, always happy to talk alpaca. The main aim of NWAG is to help members with advice and experience on all aspects of alpaca ownership. We run our own show, the NWAG Alpaca Championships, and we are very involved in organising alpaca classes at the Westmorland County Show. Our members also represent the industry at many agricultural and craft shows. The number of events that we attend is increasingly yearly and there is keen and growing interest in these delightful animals. The regional group also provides a useful route of communication between our members and the BAS board. Traditionally NWAG also organises veterinary and social days and other events including fibre workshops and alpaca assessment days throughout the year. If you have any topics you would like to see addressed, please let a member of the committee know.